Do you feel that? That bite of cold looming in the air? Temperatures are dropping and days are growing shorter - summer is definitely over! I'm currently at that mourning stage - wishing we had a few more weeks of warm weather but I'm also welcoming the change....and the weather ain't the only thing changing around these parts. 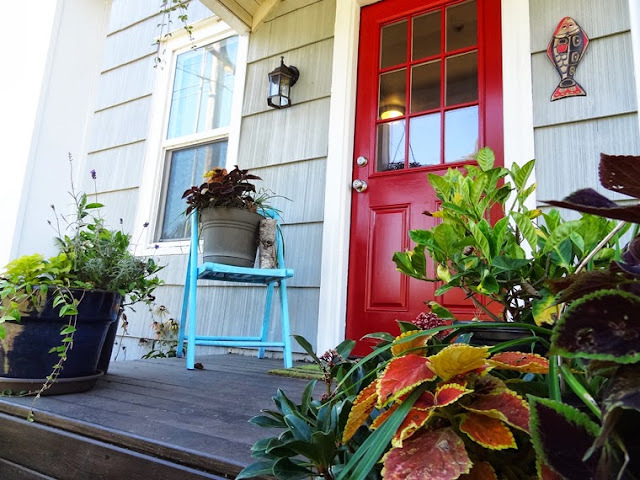 I've been on the hunt for the perfect orangey-red hue and was leaning towards a salmony-coral color like Behr's Chili Pepper which would have been a bit more modern. And then while on a mission at Home Depot I came across a gallon of Oops paint in a gorgeous red and was sold. Last week Apartment Therapy shared our DIY renovation plan for our mudroom and kitchen nook. If you missed it, we're opening up a couple walls and building a few built-ins. It's going to be amazing. Well, this week we're dropping some eye candy on you. Check out our latest feature to see our inspiration for the space - but just try not to drool. Our inspirations are full of pretty built-ins, lots of natural lighting and an overabundance of pillows! Be sure to check out our post next week where we talk all things budget! It's been a few months since I gushed on social media about an exciting new opportunity and then all was silent....I am so excited to FINALLY be able to share the news. We're working with Apartment Therapy and contributing to their Renovation Diary feature - we'll be chronicling our DIY renovation from start to finish...all the good and the bad! Check out our very first feature here and stay tuned for weekly updates! So, think we'll come in on budget and on time? Carpets and rugs are comfortable underfoot but they're also magnets for stains. From holiday gatherings to everyday use, carpets and rugs often take a lot of abuse. But keeping your floor coverings looking their best is easier than you think. A simple detergent solvent made with 1/4 cup vinegar, 1 teaspoon dish soap and warm water in a spray bottle can remove many household stains. For a full rundown of common carpet stains and how to remove them check out my latest Houzz Ideabook, . So, what methods do you use to battle carpet stains? It's summer (yes September is still summer!) and that means travel! Whether you're a globe-trotter or a weekend-getaway type there's not a more perfect time to be out-and-about than now. So pack your bags and get out and see the world but don't forget your luggage tag...and I'm not talking about that plain, boring one from the airline counter. It seems that every good vacation has its moments of chaos and nothing is more stressful than losing your bags. Luckily, a fresh update on an ordinary travel staple will save that favorite item of yours from being lost forever and look good in the process. 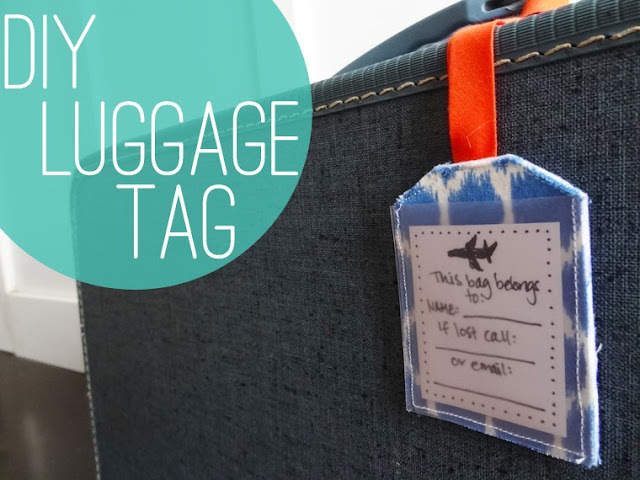 Here's a quick and simple way to make your own stylish luggage tags using stunning fabric and a little sewing - even a beginner can handle.